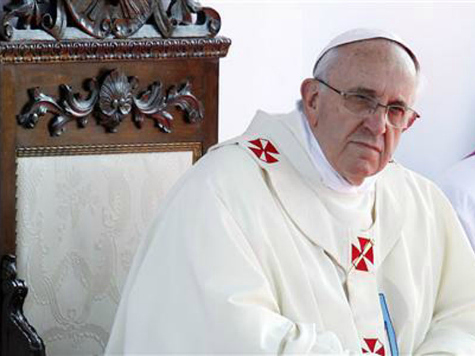 Pope Francis and the Vatican were involved in the negotiations with Cuba, according to a senior administration official who briefed reporters on background. The Vatican also hosted the United States and Cuban delegations to discuss the political exchange of prisoners and “improving their relationship” going forward. In March, President Obama spoke about Cuba with Pope Francis during his visit to the Vatican and has continued to work with the Vatican during the process. According to an administration official, Pope Francis was “aware” that Obama was considering a change in the policy against Cuba and reached out to the president. The official noted that the personal appeal was a “very rare” occurrence with the administration which lent “greater momentum” to the negotiations. “The support of Pope Francis and the support of the Vatican was important to us,” a Senior Administration official explained, pointing to the pontiff’s history with Latin America. The Obama administration also informed Pope Francis of the big diplomatic step between the two countries.